Wuhan HAE is the first Wall Printing Machine manufacturing company in the worldwide, we provide the advanced digital wall printing technology with guaranteed vivid colors and 3D effects, printed directly on all wall materials and sizes. Digital wall printing gives a complete flexibility to use or customize any artwork/photo with a wide range of resolution. With wall printing, walls come to life, giving an enhanced environment in homes, schools, malls, and offices..
7. With high-precision brushless servo motor control system, free maintenance. 7. The walll printing machine adopts HD piezoelectric inkjet technology. Japan imported piezoelectric nozzle, high precision, clear and bright picture, durable. 8. Variable droplet technology. Minimum ink droplets 3.5PL, the largest 27PL, indoor painting screen clear and delicate, outdoor painting color bright, fast. 9. HAE Mural Inkjet Printer adopts advanced ink droplet control system and high fault tolerance are feather technology combined. The output quality of wall inkjet printerc is more perfect. 10. 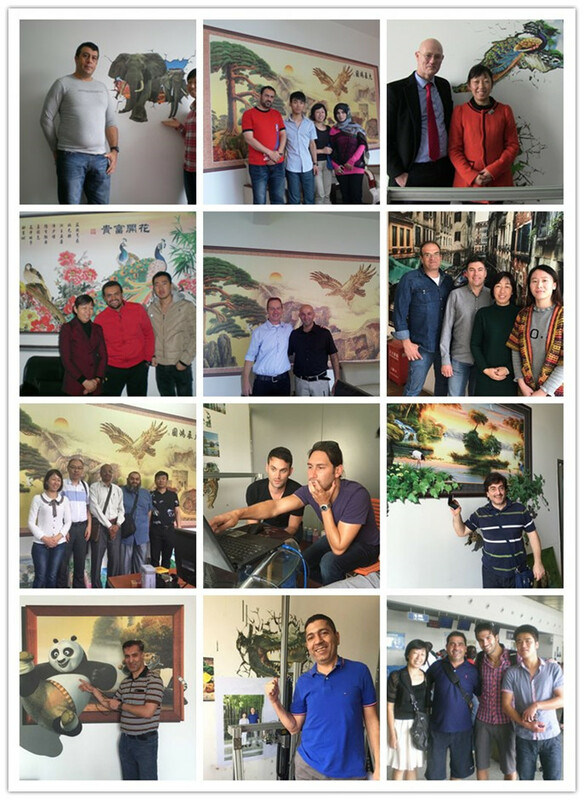 10 year developed Imported paste customized Wall Painting Printer ink, well work in minus 10 ℃ to zero 60 ℃ working environment, environmental protection. 11. FIber cable digital transfer, Faster, anti-interference ability, high reliability, stable transmission data. 12. Automatic fill system. Construction accidentally interrupted, fill system of the Wall Inkjet Printer can effectively reduce the painting scrap rate. 13. The wall inkjet printer adopts advanced AC servo control technology to ensure higher precision printing, better stability and longer service life of the mural printing machine. 14. Integrated head design of the mural printing machine, separable structure. Effectively avoid the damage caused by handling bumps, all around the nozzle installation board, thus extending the actual life of the nozzle. 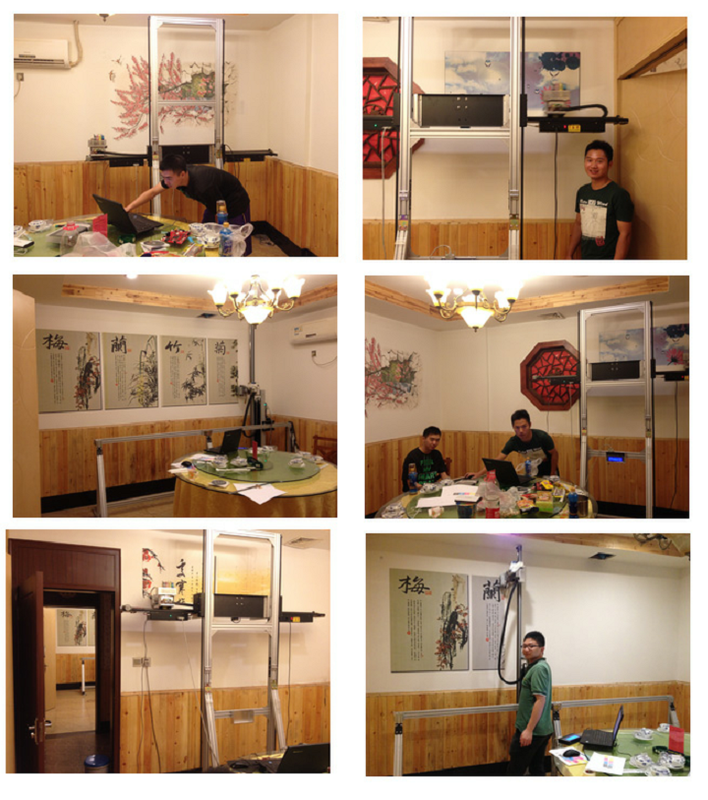 Wall Mural Printing Machine delivery time is depends on the order quantity ,generally in 3 -8 days . Zeescape Mural Printing Machine packing boxes are nine layer of corrugated board boxes,ensure that the product can arrive safely to your hands. Looking for ideal Wall Mural Printing Machine Manufacturer & supplier ? We have a wide selection at great prices to help you get creative. All the Mural Printing Machine Vertical are quality guaranteed. We are China Origin Factory of Indoor Wall Mural Printing Machine. If you have any question, please feel free to contact us.